During 2012 Plains Exploration and Production Company (PXP) released a series of technical studies which purported to demonstrate that their oil recovery operations in Los Angeles Inglewood oil field, including fracking (hydraulic fracturing) have no or “unknown” adverse effect on the public. Current studies by Stanford engineer Richard L. Meehan conclude that this is not true. The oilfield activities in the Inglewood oilfield have in fact resulted in reactivation of geologic faulting affecting residential property and two elementary schools. New video by Meehan presents the evidence for ongoing oilfield causation of surface and property damage in this urban setting. It also demonstrates that hydraulic fracturing for hydrocarbon recovery per se can be hazardous in relatively shallow geologic environments with faults and earthquakes as commonly found in California. Conclusions regarding safety of “fracking”, reached on the basis of deep shale experience elsewhere, whether valid or not, should not be expected to apply in California. "Fracking" in California, a New Target of Protest - NBC News. Tuesday, May 15th, Josh Fox, the Oscar-nominated director behind the anti-fracking movie Gasland, witnessed fracking going on adjacent to an oil field in Baldwin Hills, close to a residential neighborhood as well as a public park, and directly on a known fault line. Could Fracking in Los Angeles Cause an Earthquake? LA Times - Firms step up fracking disclosure; activists want it banned. 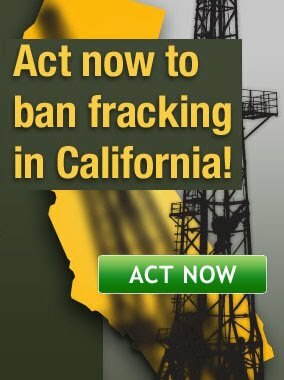 California groups back fracking ban. KCRW Radio: Which Way, LA? 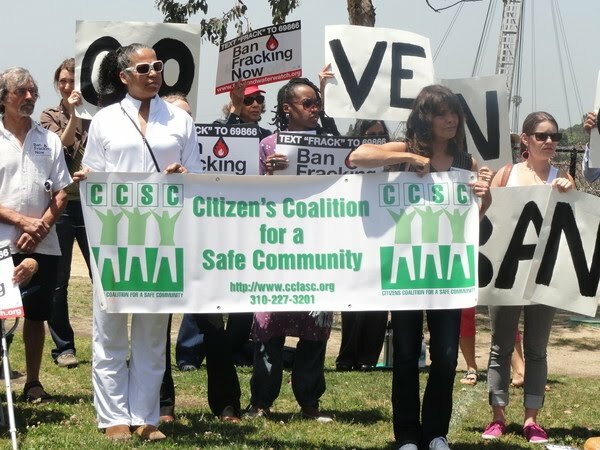 Fracking in Baldwin Hills? ABC News Video: "Fracking" Connected to Quakes?